It's that time of year again! 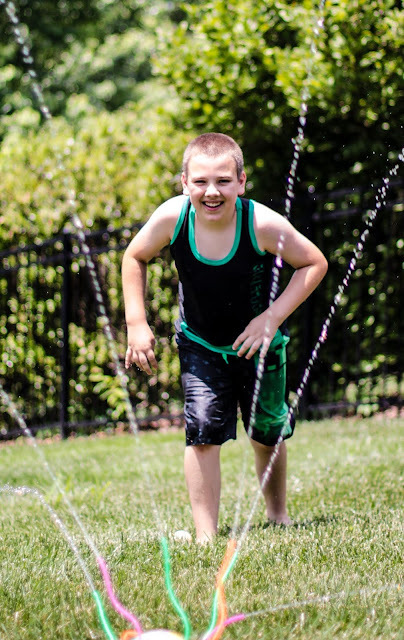 School is out in a few days and my kids are looking forward to lots of swim, sun and playing outside. 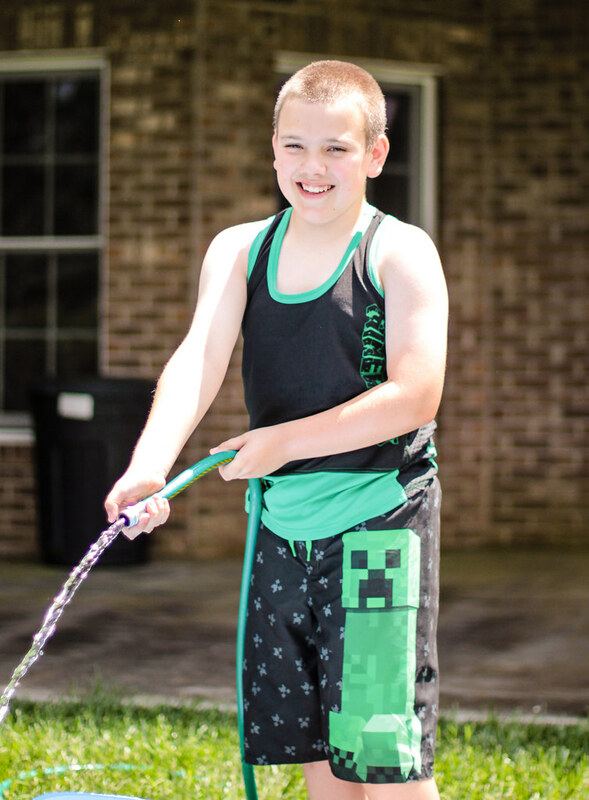 Logan needed new swim togs this year, and while he found some cool Minecraft trunks he liked, we came up empty for a top. The fabric turned out to be the least challenging. After searching at my usual favorite spots and coming up empty, I just did a Google search and found an impressive line of wicking jersey at Wazoodle. They had a range of colors and weights to pick and choose from. 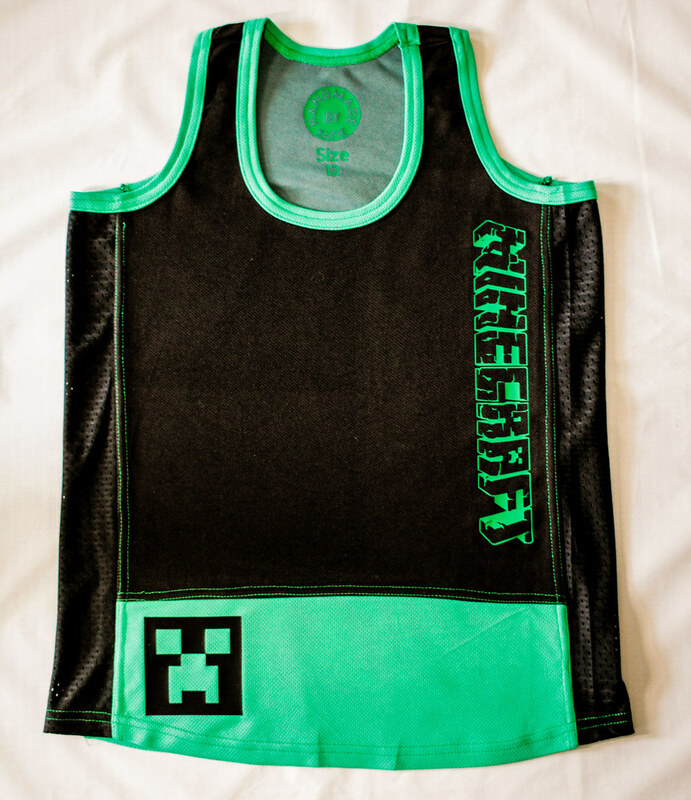 I went with the classic Minecraft color scheme of black and green. Shipping was fast and the quality is excellent, so I'll be shopping there again. The larger challenge was the pattern. Boys tank top patterns fizzle out after the toddler sizes and Logan isn't quite big enough for mens sizing yet. Even Ottobre failed me! Logan was very specific about wanting a tank top and not just a sleeveless shirt. So, I had to get a little creative. I decided to start with the ladies racer back tank by Jalie (3245). But since it has decidedly feminine lines, I used the Jalie Nico raglan tee to get a more masculine shape, blending the two patterns together at the underarm. And since I was hacking up a couple of patterns anyway, I decided to do some color blocking and add mesh side panels for comfort. All in a day's work. Logan is very happy with it. He loves the way it looks and fits and says it is very comfortable. I even got a hug from my not physically demonstrative boy. I think as I look at him that the armhole could be slightly lower, but really, it's a pretty good fit. The fit through the back is pretty good though, and it looks well proportioned overall. On the side, I added 4 inch wide panels of athletic mesh - the sort with large holes that jerseys are made of. 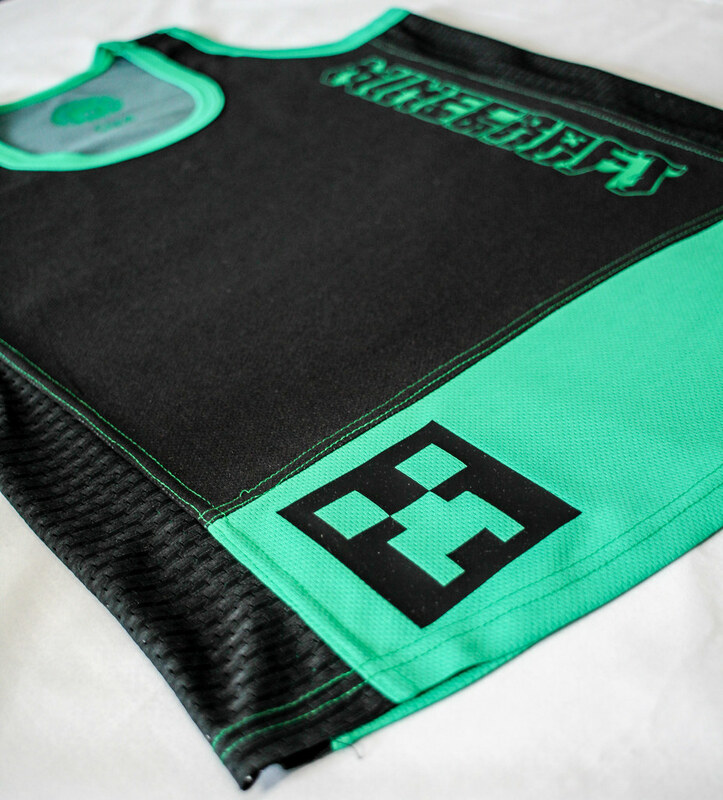 It gives the tank some more breathability as well as a cool sporty look. I also color blocked the front and back with green on the lower 6 inches of the tank, and used the same green jersey for the neck and armhole bindings. I got my Cricut in on the party for some finishing touches with a creeper face and Minecraft logo. I used a silicone HTV that has a slick feel. 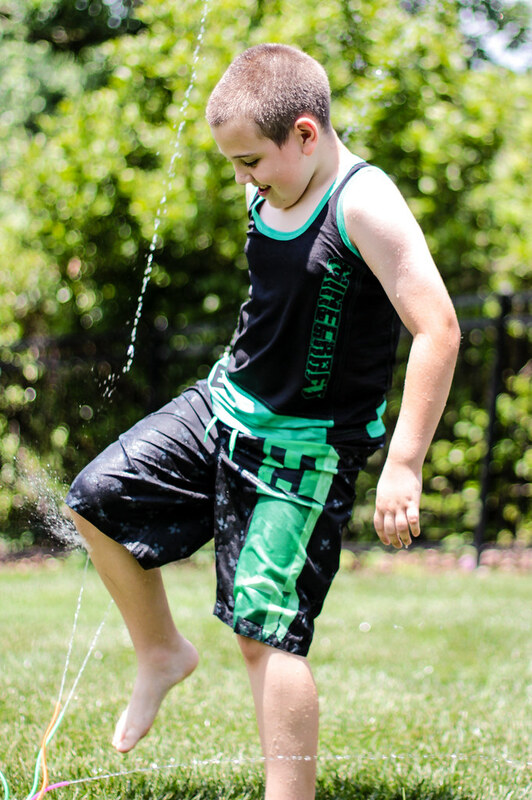 It's a cool texture that goes with water play well. I also coverstitched all the seams, both for a touch of contrast stitching, and to be sure the insides were nice and soft. No itchy seams! It was a little more patternwork than I have been doing lately, and it was nice to use that part of my brain. Logan loves his tank, so that's the most important thing. I had fun making it, too. Wow! Looks great. You have an excellent eye. Creativity backed up with skills. You've set the bar high.